My presentation at Eastern Illinois University on remarkable receptions concentrates on Ta-Nehisi Coates and Colson Whitehead. However, I've taken note of unusually expansive feedback to a few other select authors over the years. Here's a brief, though hardly exhaustive checklist. 1940: The publication of his Richard Wright's Native Son was crucial in making him one of the most critically acclaimed black writers of all time. Keneth Kinnamon's A Richard Wright Bibliography: Fifty Years of Criticism and Commentary, 1933-1982 (1988) and Richard Wright: An Annotated Bibliography of Criticism and Commentary, 1983-2003 (2005) together contain more than 21,000 annotated items on Wright. 1952: Ralph Ellison's Invisible Man also made him and his work prominent subjects in American literature. 1960: Although Frederick Douglass's book The Narrative of the Life of Frederick Douglass was first published in 1845, the book's frequent reprinting beginning in 1960 and on to the present has been vital to the popular reception that the book has enjoyed for nearly 60 years now. 1965: The development of concerted efforts among poets, editors, illustrators, musicians, and others during the 1960s led to what is known as the Black Arts Movement, one of the most widely discussed moments and enterprises in African American literary history. 1970s: Although Zora Neale Hurston first published her novel Their Eyes Were Watching God in 1937, beginning in the mid-1970s, the book and author gained renewed interest and has remained exceptionally popular among audiences. 1985: The film adaption of Alice Walker's The Color Purple (1982) greatly expanded interest in her and her work, and assisted in advancing interest in the transformation of African American novels into films. 1987: Toni Morrison published Beloved, and in January 1988, a group of black writers produced a strong public statement supporting her work. In 1993, Morrison was awarded the Nobel Prize for Literature, and shortly thereafter, she became and has remained our most critically acclaimed black writer. Late 1990s - present: Over the last 20 years, an increasing number of African American poets have won prestigious honors for their works. 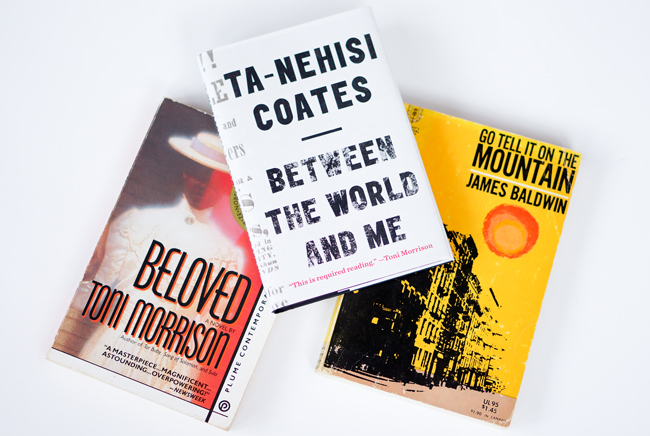 While there have always been exceptionally talented black poets, there has never been a moment with so many securing such a large number of awards, fellowships, and important academic appointments. 2012: Michelle Alexander's The New Jim Crow was first published in 2010, and the book became widely popular in 2012, after the paperback version was published was frequently read and discussed in various communities. 2014-present: The publication of Ta-Nehisi Coates's "The Case for Reparations" (2014), Between the World and Me (2015), the Black Panther comic book series (2016-present), and We Were Eight Years in Power (2017), along with the extensive related commentary, made him one of the most prominent writers in the country. 2016: Colson Whitehead's The Underground Railroad, which was endorsed by Oprah Winfrey and earned the author a National Book Award and Pulitzer Prize and many glowing reviews, greatly increased the author's national and international visibility.